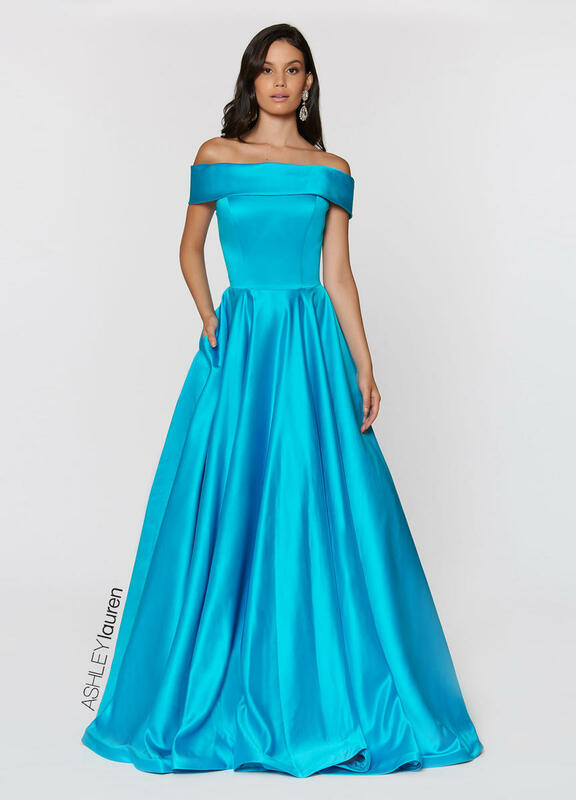 This ball gown will leave the audience captivated. 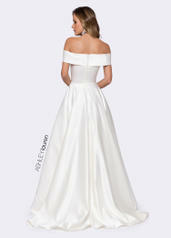 The satin flows off shoulder accentuating your waist. The dress is complete with pockets.